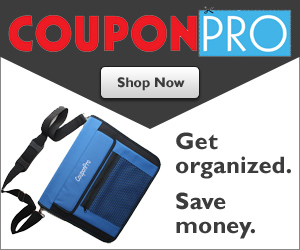 How To Organize Coupons - Home Organize It! Learn how to organize coupons in a way that will be efficient and cost effective. It's important to keep in mind that the amount of time you spend finding and using coupons must offset the amount of money you save and then some. With ongoing economic struggles and the increasing use of online coupons, use of them has made a dramatic return as a great way to save money. Coupons can help you save a tremendous amount of money. The key to these savings though, is in how you organize them. Coupons use is popular both offline in the traditional sense (i.e., food and household products) but also online for an enormous number of products and services which may be available both offline and online. For this article we're talking primarily about how to organize coupons for offline use and for the "average" person - not professional couponers. The key here is to discipline yourself to NOT clip and save coupons that just "look interesting" or that you "might use sometime". Clipping coupons can only save you money if you actualy use them. Among some of the most popular how to organize coupon methods is the 3-ring binder method which I highly recommend. A 3-ring binder is one of the 3 most popular (and easy) ways to organize coupons. pre-punched clear plastic sheets with different sized inserts (baseball or any kind of trading card holder sheets) to full sheets for larger coupons and those where you can't see the expiration date at the same time as what the product is. You can also use "sheet protectors" available at office supply stores. Alphabetical - organizing your binder alphabeticalaly reduces the need of having to figure out all the different categories which can sometime be confusing. For example, would a coupon for cereal go in the snack section or the cereal section)? Category - if you tend to group your shopping trips by category (i.e., shop for cosmetics first, then household supplies, then garden supplies, etc) then it may work better for you to organize your binder by category. When getting started, a tip is to allow the categories to emerge naturally over a month or so. At the end of a month's worth of shopping you'll probably be able to settle on 10-12 categories. I recommend no more than 12 to help keep things simple. Also, you can expect your categories to change and evolve the more organized you become with coupons as well as with the changes in your seasons of life (diaper coupons evolve into pullup coupons, or baby food coupons to regular food coupons). But unless you shop and use store-specific coupons frequently, alphabetical or categorical sorting will probably work best. Once you've clipped your coupons, open your binder and enter them in the appropriate section right away. When it's time to go shopping you'll be glad you did! Finally after deciding how to organize coupons in the way that makes the most sense to you, try the approach for a few months. Tweak to make the process as efficient as possible. Track how much you are saving to keep yourself motivated to stick with couponing. Return From How To Organize Coupons To Home Organize It!